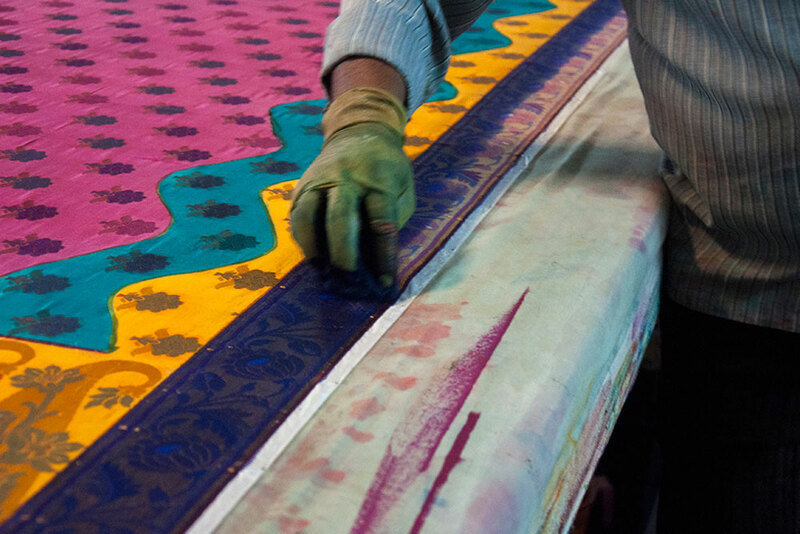 Block printing on a chiffon saree. 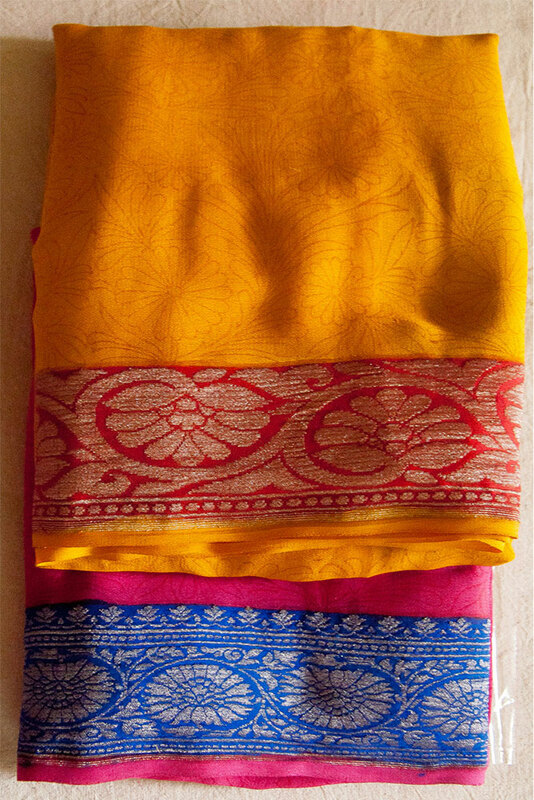 Hand painted Dupion sarees with leaves. 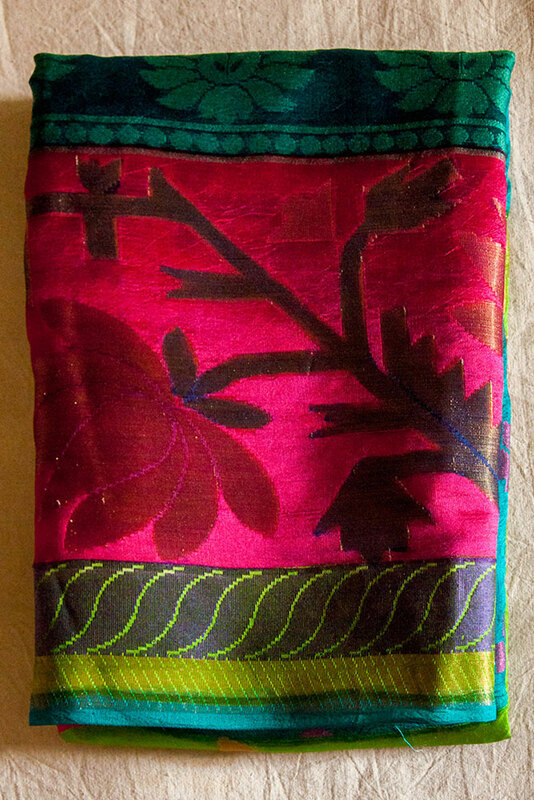 Hand painted Dupion saree with flowers. 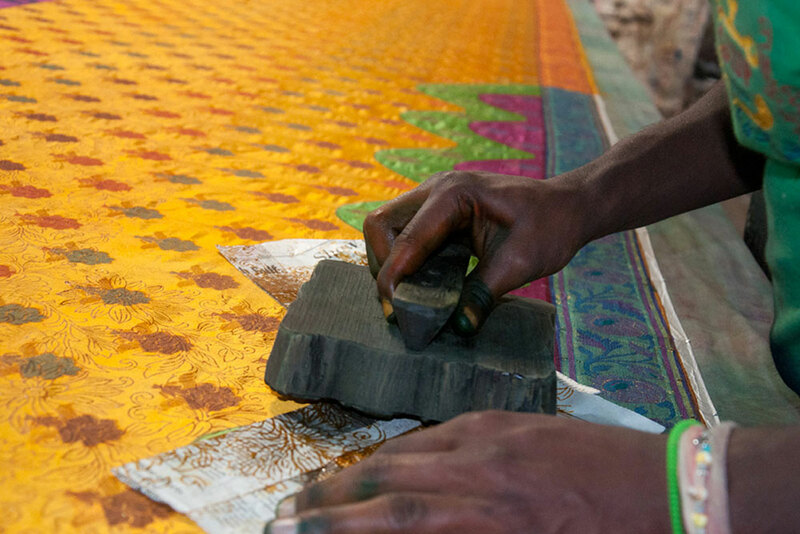 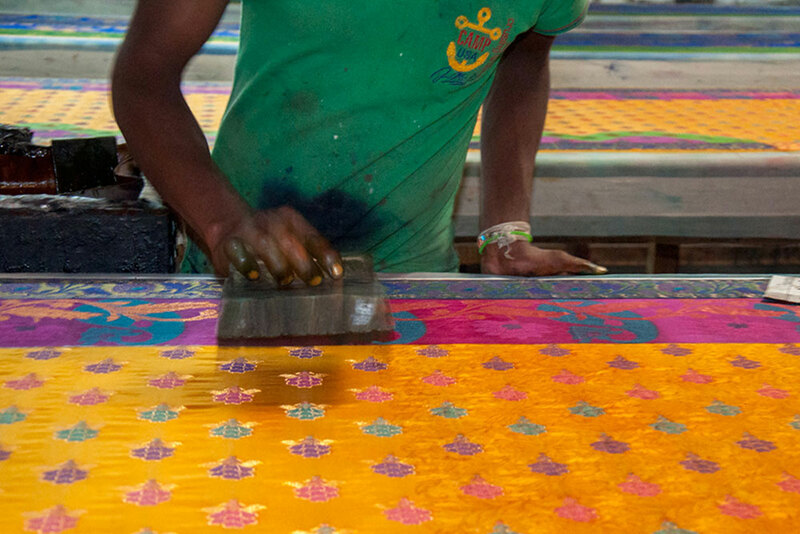 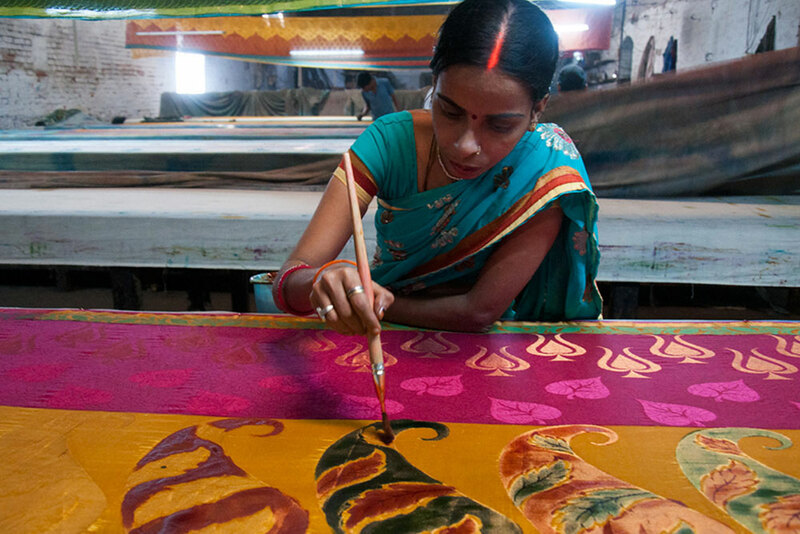 Block Printing is one of the traditional techniques of press printing with fabulous colors followed by the societies of the city Varanasi. 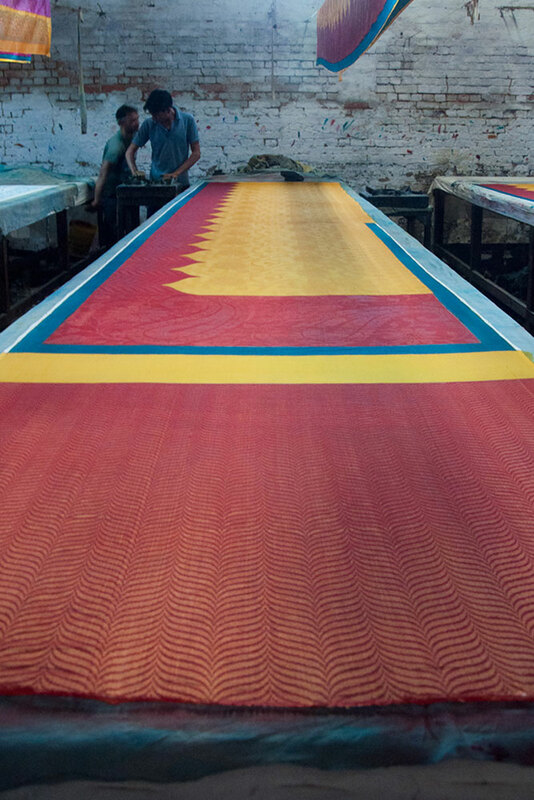 The final product undergoes a process of quality check by the agent after which, the final production starts. 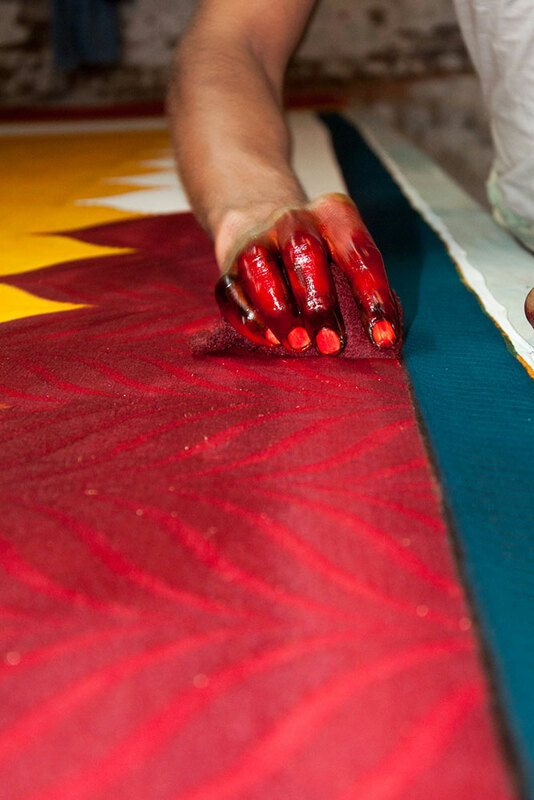 The complete process is followed by the artesian. 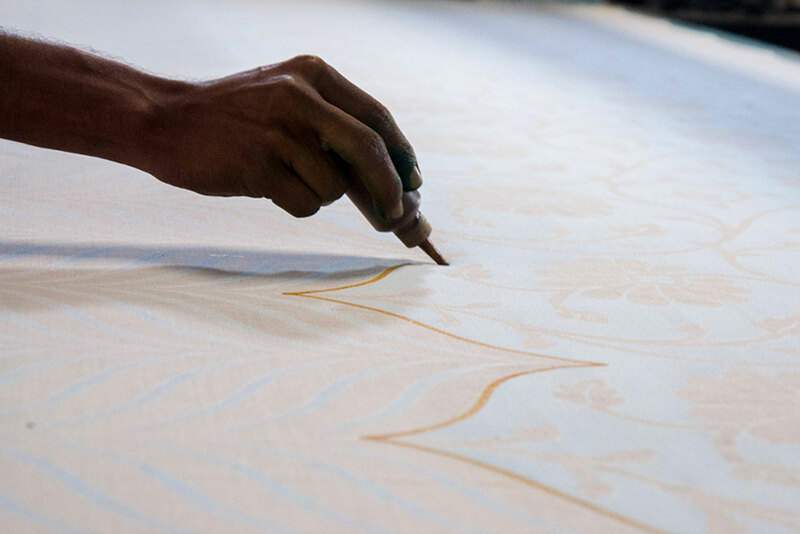 Motifs having some subject are transferred onto light colored background with wooden blocks following two styles straight and resist style. 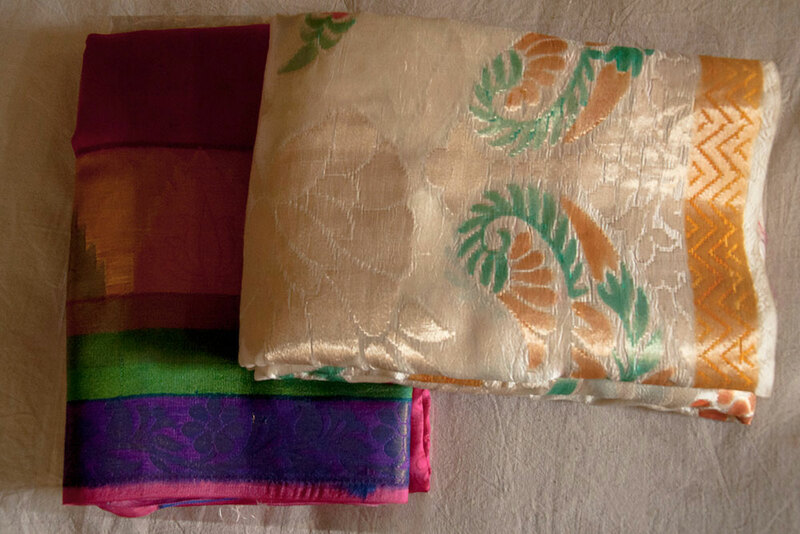 These fabrics are also producing for industrial purpose and the available materials are Georgette, Chiffon, Kota Silk and Dupia. 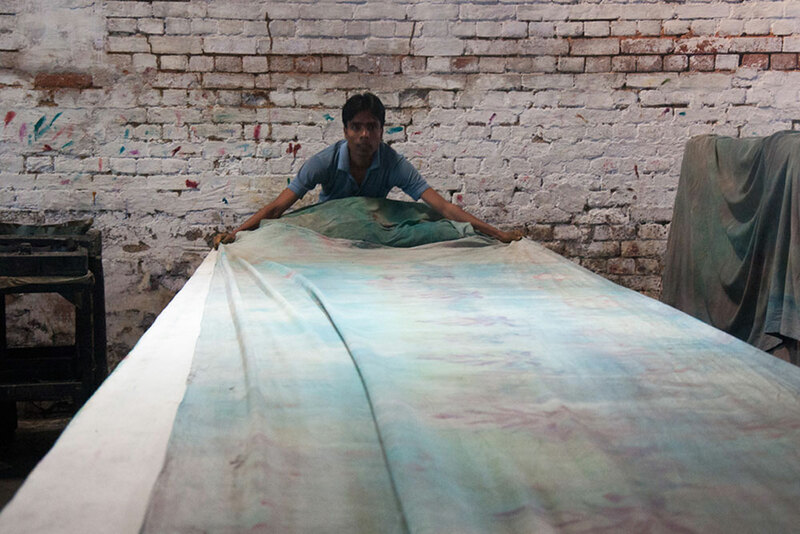 But the Dyeing and Printing Industry of Varanasi city mainly deals with cotton sarees, dress materials, khanga, bhandhani and bedsheets. 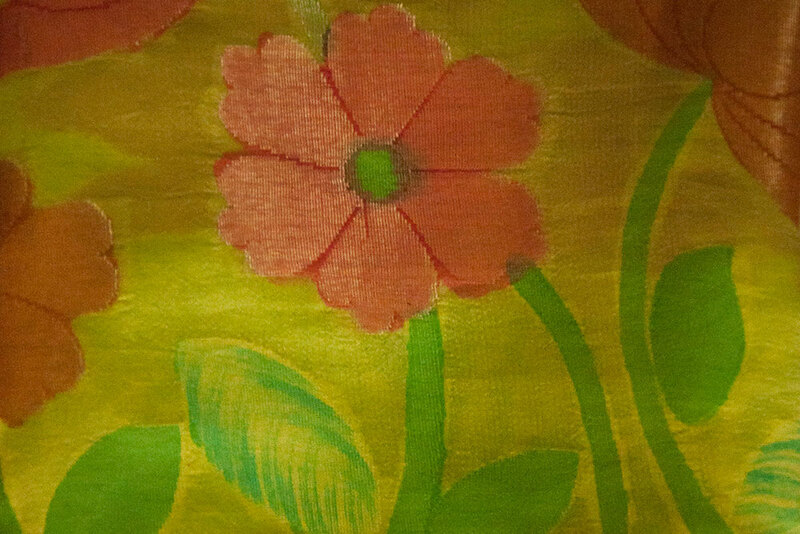 This is very difficult technique because there should not be any imbalance in the design-transfer from the block to the cloth.